Heard of people saying that we need to switch shampoo so our hair doesn't get ímmune'? Essential has relaunched with new products using new technology/formula so I guess I found a reason to try it. There are 4 variants namely Nourishing Breakage Defense (orange), Moisturizing Frizz-Free (pink), Light Finish Volumizing (yellow) and Deep Cleansing Care (blue). 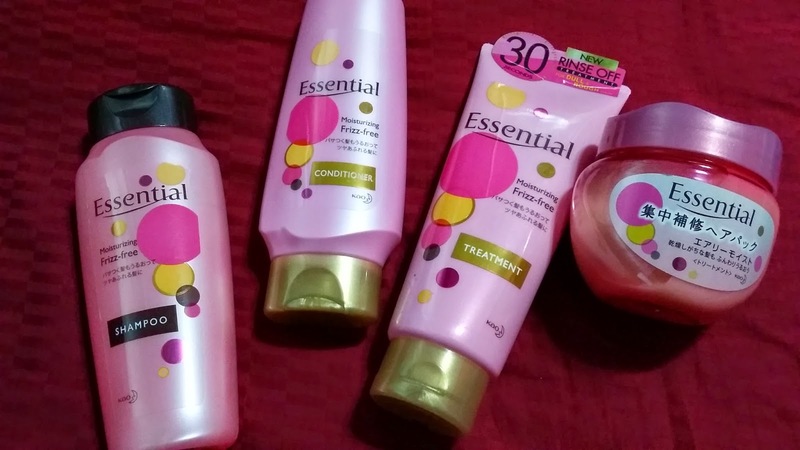 Don't worry if you are confused which product is right for you as Essential has made it easier for you. 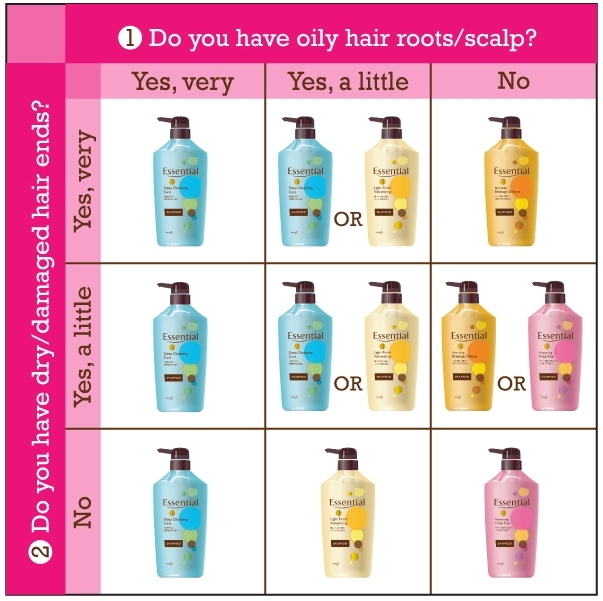 Try the 2 questions below to know which new Esssential shampoo is right for you. 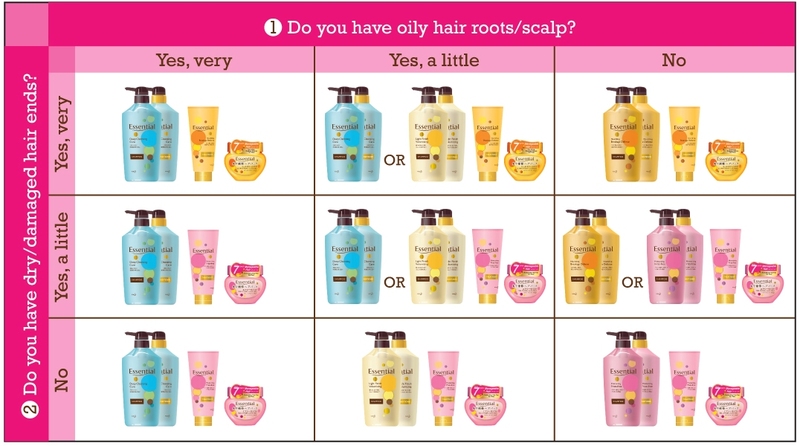 And which Essential condition, treatment and hair mask is right for you? For me, my hair is on the drier side and I have frizzy and tangled hair ends. 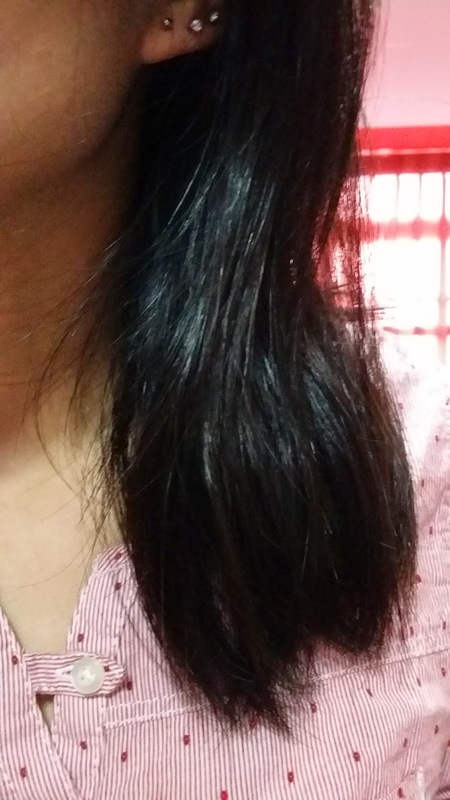 Not forgetting those shine-free tresses. 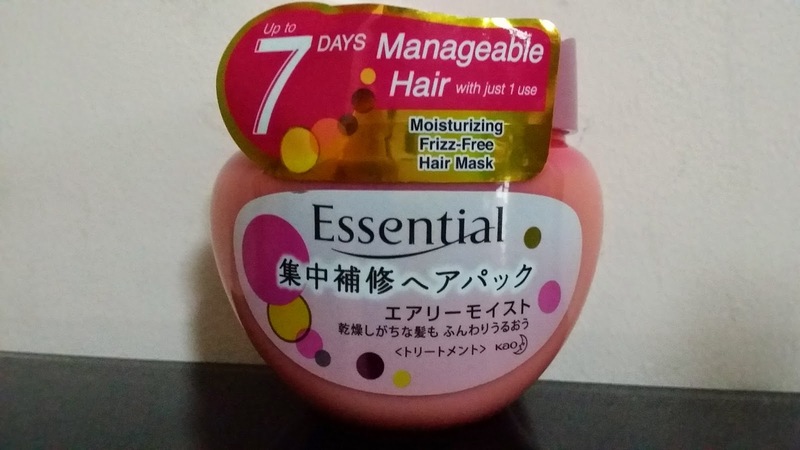 So yes, the Essential Moisturizing Frizz-Free series for me. 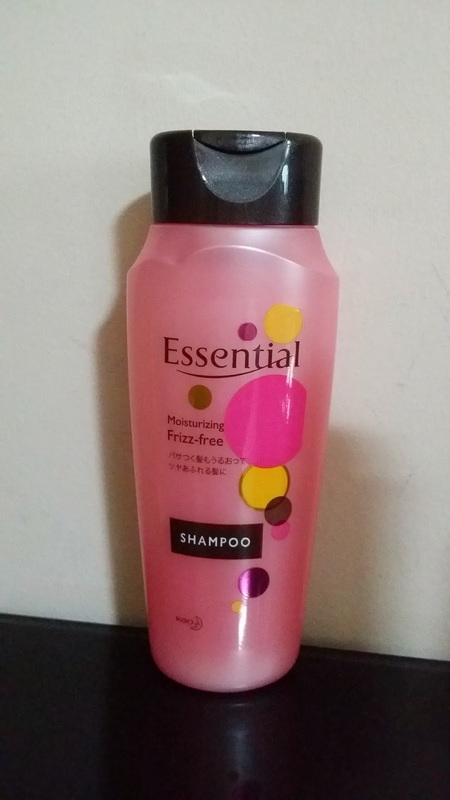 The shampoo smells really good and the scent lasts for hours. 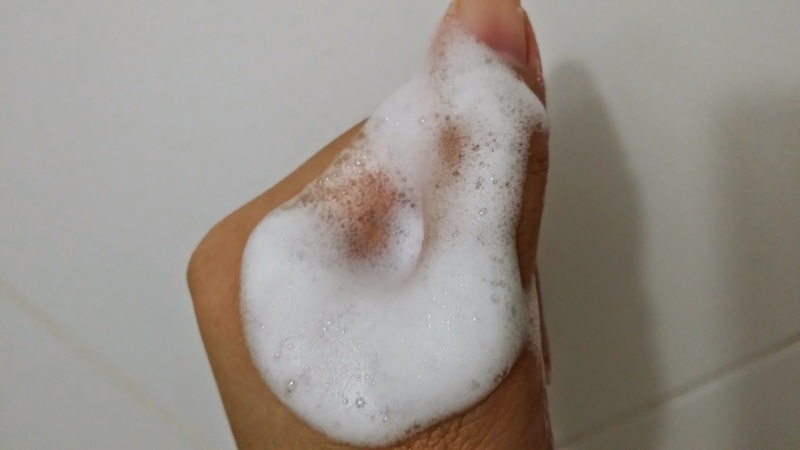 It is foamy which makes hair washing so much easier. 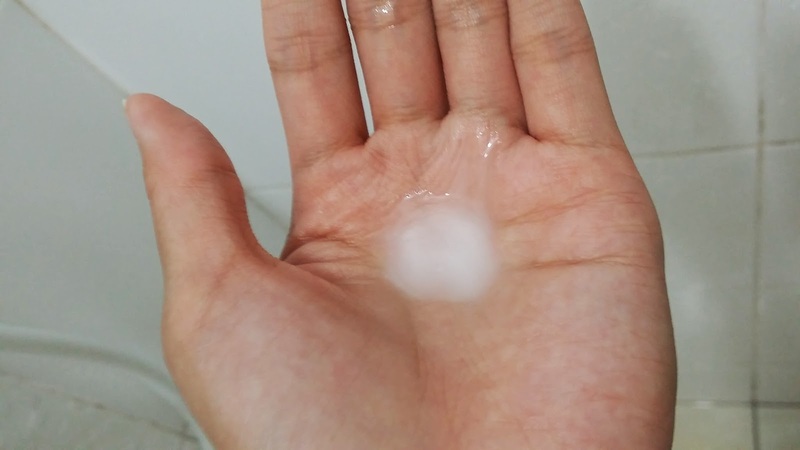 The conditioner was not as thick as I expected. 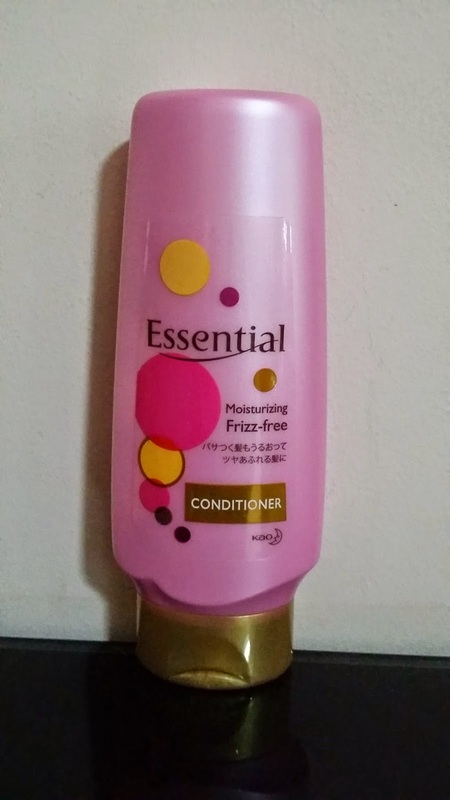 I don't like really thick conditioner which makes rinsing off thoroughly such an hassle. 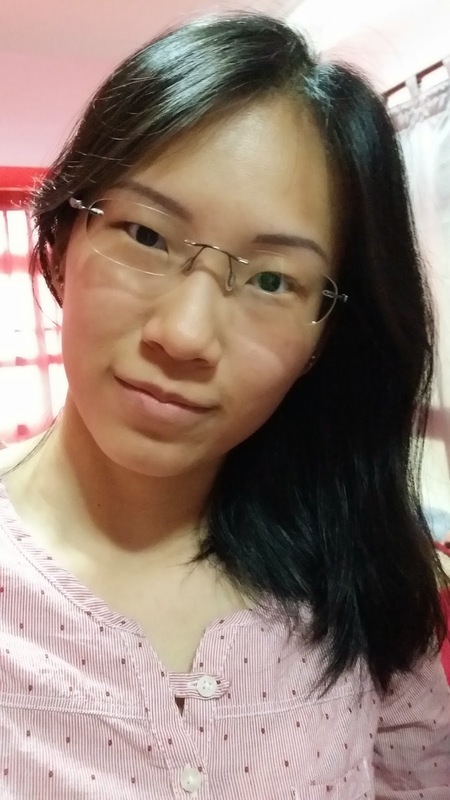 Let me show you my hair ends before and after. I didn't shampoo my hair the next morning as it was still so smooth and manageable. 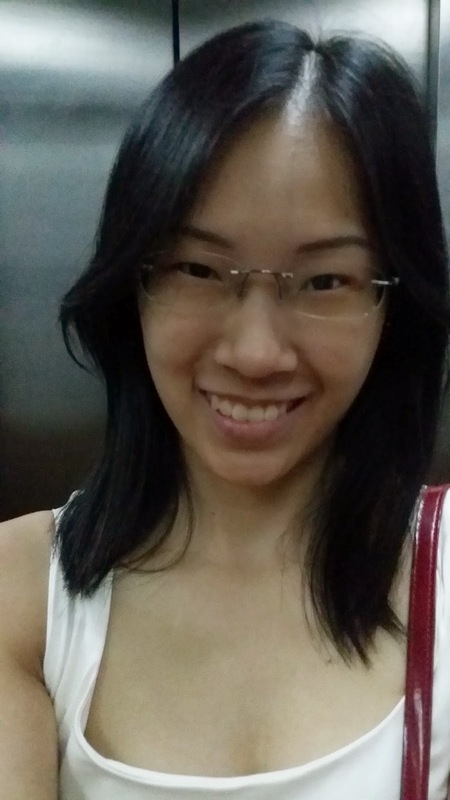 No tangles at all and looks straighter than my usual morning bad hair. 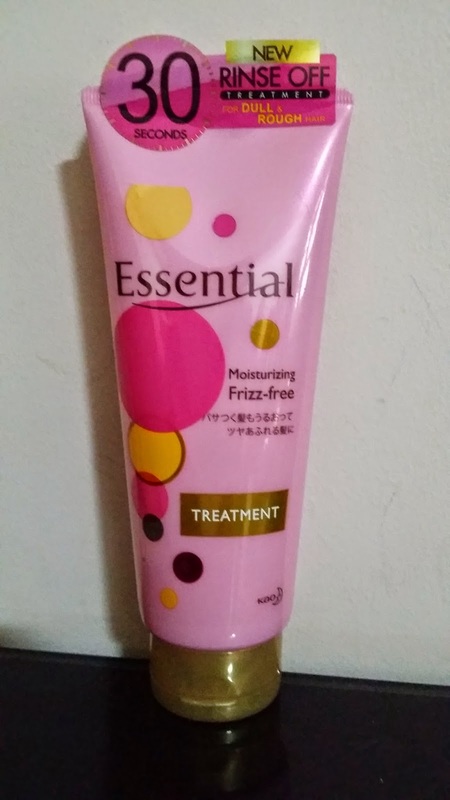 I decided to try the treatment which can moisturize dry and frizzy hair in just 30 seconds. It contains Microfine All Smooth Essence which coats the hair strand evenly as a protective veil. 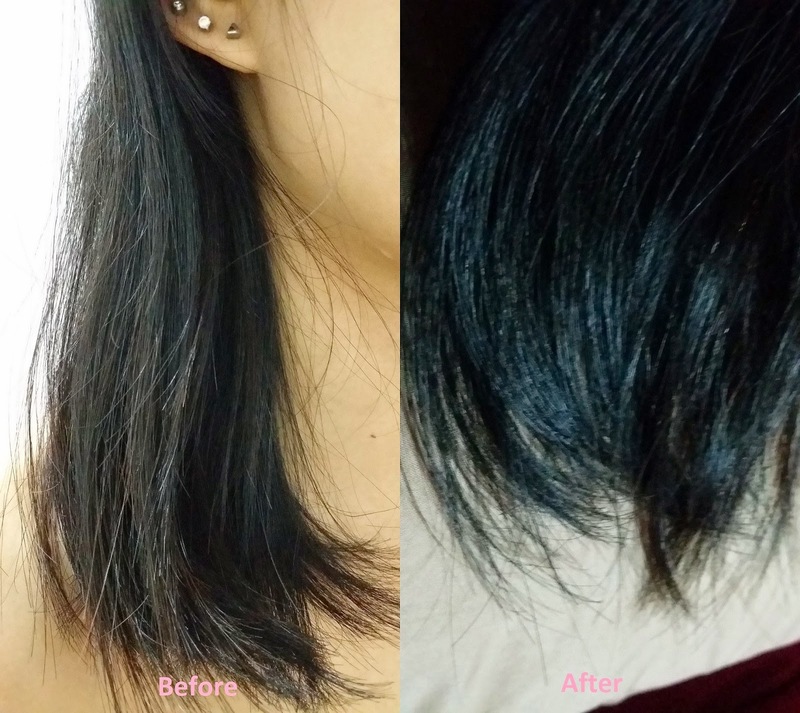 It can repair damaged hair surface from the root to tip, this is money and time saving. It is easy to rinse off and again, I didn't have to shampoo my hair in the following morning. No more bad hair days. 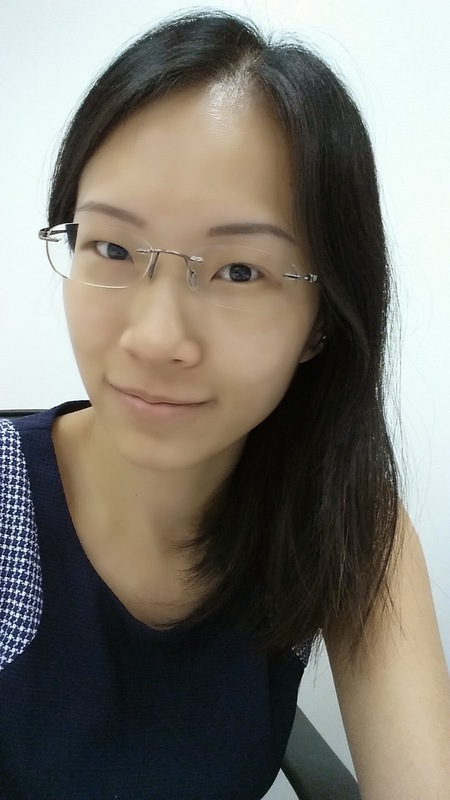 Allow me to show you a closer picture of my healthier hair ends. Last but not least the hair mask which contains honey and shea butter that intensively repairs damaged hair. You can decide how long you want your hair to be manageable for. Leave the hair mask on for 3 minutes and its effects can last up to 3 days. Leave the hair mask on for 10 minutes and effects can last up to 7 days. I merely used a small amount for my hair, leave it on for 3 minutes then rinsed off. Avoiding heat as much as I can. 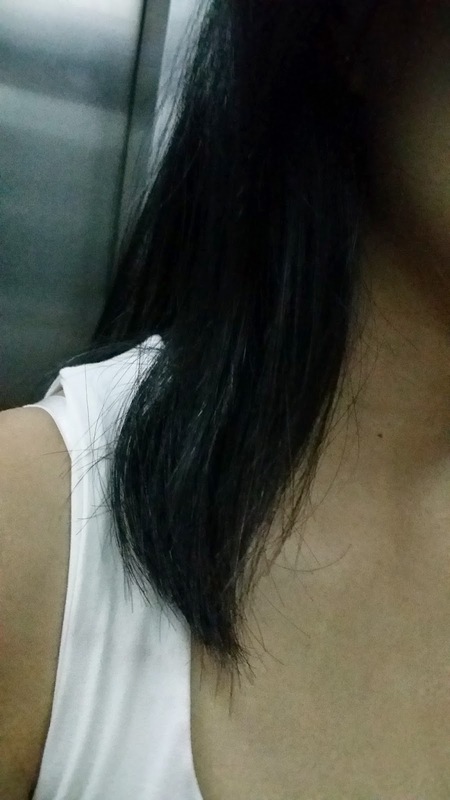 I allowed my hair to air dry and look what shiny and smooth hair I have. It was a breeze to comb through my hair. 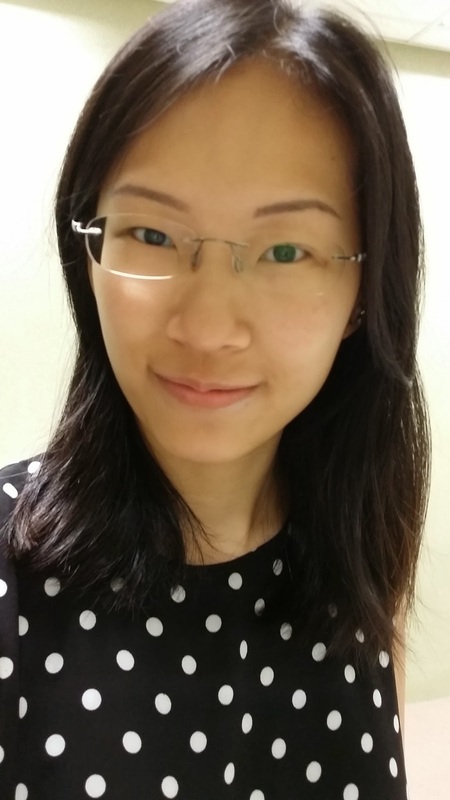 For the next 2 days, I only used the Essential Moisturizing Frizz-Free Shampoo but my hair is still looking healthy and feeling smooth. I can forget about rebonding now. No frizzy and tangled hair ends which reduces the amount of hair fall too. Do 'like' Essential's Facebook page and follow them on Instagram @essentialsingapore. And if you are keen to try samples before purchasing, do click here for more information. You can now the new Essential haircare series at leading supermarkets, hypermarkets, leading pharmacies and personal care stores.